Living up to its city billing, Harbour City is a monster of a mall and one of our top five malls in Hong Kong. Stretching for nearly a kilometer along the Kowloon waterfront, Harbour City not only boasts more than 400 shops and 50 restaurants but two cinemas, three hotels, Hong Kong’s cruise terminal and a ferry terminal servicing Macau and China. For the true shopping addict, you can even live here in a serviced apartment. 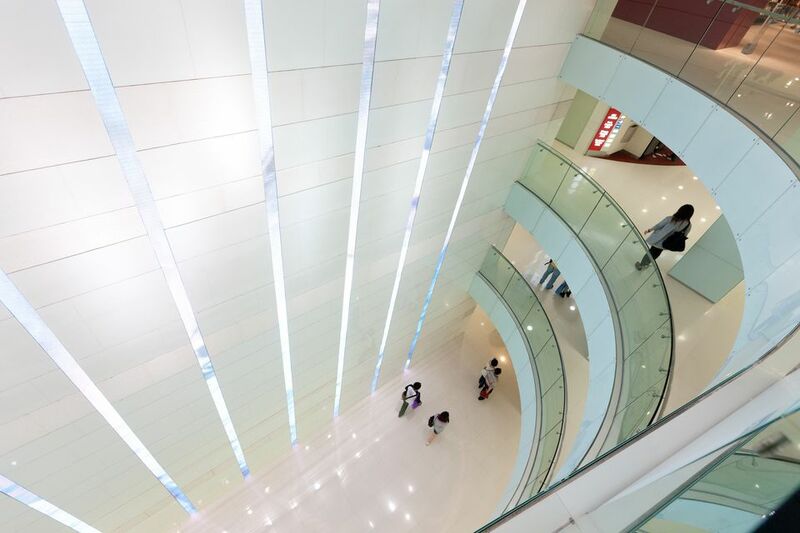 The complex itself is spread out over four separate zones; Ocean Terminal and Ocean Centre are the two primary shopping areas, with shops also in the Marco Polo Hong Kong Hotel Arcade and the Gateway Hotel Arcade. Each section is color coded on Harbour City maps to help you get where you need to go. It's worth stopping by the mall information desk where they often have vouchers and information on where the sales can be found. In Ocean Terminal you’ll find each floor features themed shopping. The ground floor is known as KidsX and is home to the largest Toys R Us in Asia, Jumpin Gym U.S.A, Burberry Kids, and a host of other children orientated stores. The second floor is known as SportsX and boasts many flagship stores from internationally renowned brands such as Fila, New Balance, and an Adidas NBA shop. There is also a major Lane Crawford outlet. Up on the third floor is LCX, an upmarket clothing retailer popular with Hong Kong teenagers. Over at Ocean Centre you’ll find a broader mix of brands, from the thrifty to the exclusive, including Broadway and Fortress electronics retailers. This is also where the fashion retailers are concentrated, such as Burberry, FENDI and Vivienne Westwood. Lovers of the simple but stylish goodies of MUJI will find their flagship Hong Kong store here. Elsewhere, in the two hotel shopping arcades, the shops are mostly high-end fashion retailers, such as Armani, Coach, and Prada. For fans of British cuisine or clothing there is also a huge Marks and Spencer where you can load up on shortbread and custard. Don’t miss a visit to the fourth-floor patio which has views over Victoria Harbour and skyscrapers on Hong Kong Island as well as several restaurants. There is a full list of the restaurants at Harbour City below, but there are a couple of stand-out options. The famous Super Star Seafood is one of Hong Kong's most highly regarded restaurants, while the fine French food at Epure has plenty of fans. You can reach Harbour city on the MTR. The closest station is Tsim Sha Tsui.